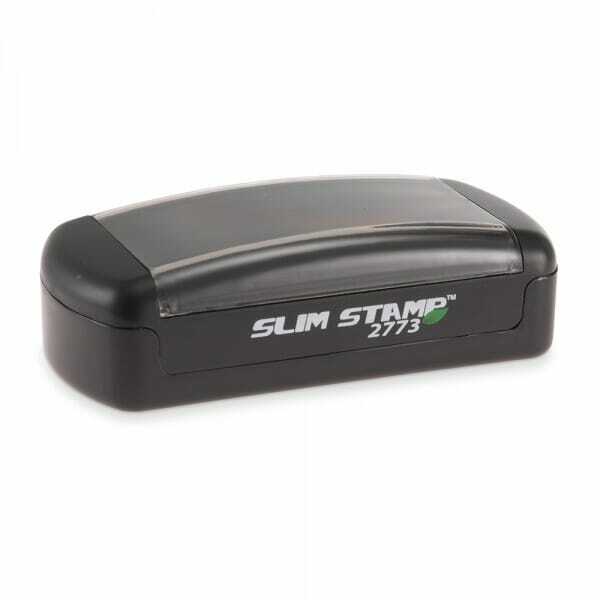 The Slim Stamp 2773 has a maximum text plate size of 1-1/8" x 3" allowing you to create up to 7 lines of customized text. This versatile stamp is perfect for multiple applications including address stamp with email, business address with logo, and signature stamp. You can upload your own logo or artwork in our stamp wizard! Évaluations de clients pour "Slim Stamp 2773 1-1/8" x 3" - up to 7 lines"